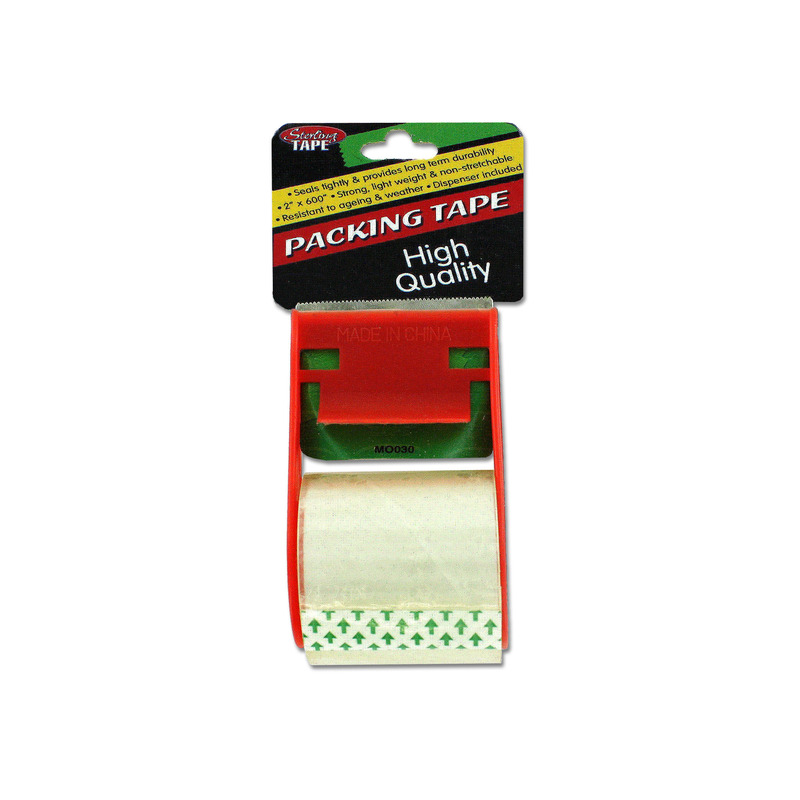 Great for sealing boxes and much more, this Packing Tape seals tight and provides long term durability. It is strong, lightweight, non-stretchable and resistant to aging and weather. Comes in a convenient dispenser with a jagged metal edge for a clean cut. Tape measures nearly 2" wide and is approximately 600" long. Comes packaged with a hanging panel.